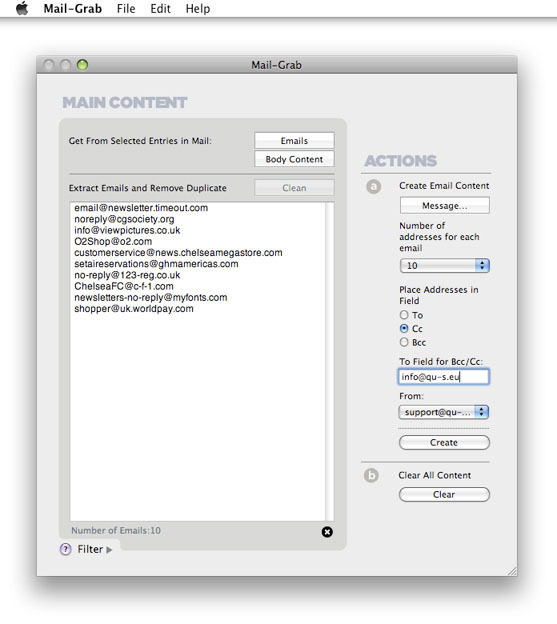 Use Mail-Grab to extract email addresses from your Mail Application or text files. 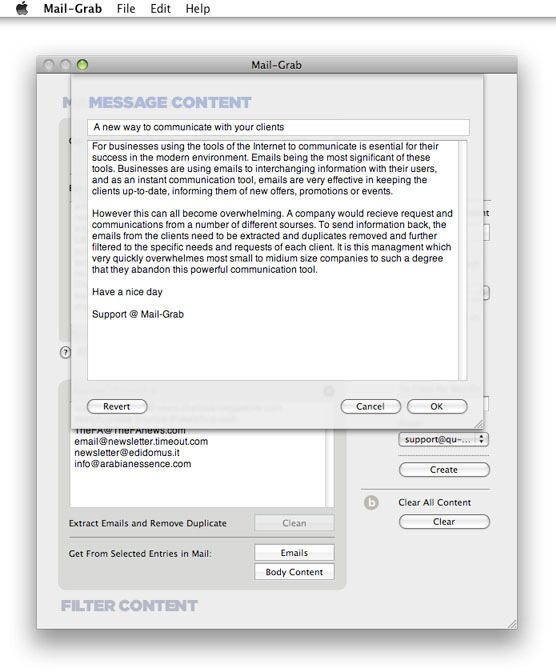 Filter the set removing what you don't want, then create a message and get Mail-Grab to generate your emails for you. This can all be achieved in a few easy steps. 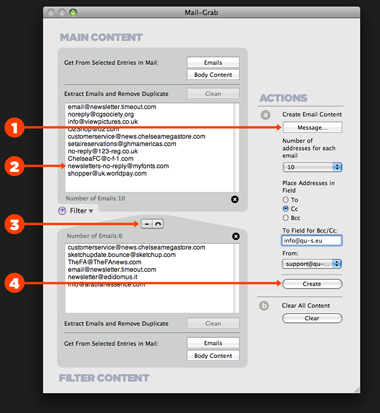 Once you have your addresses, write our your message 1 and setup how you want your emails to be created. 4 Select how many addresses to be included for each message, and which field the addresses are to be added to. 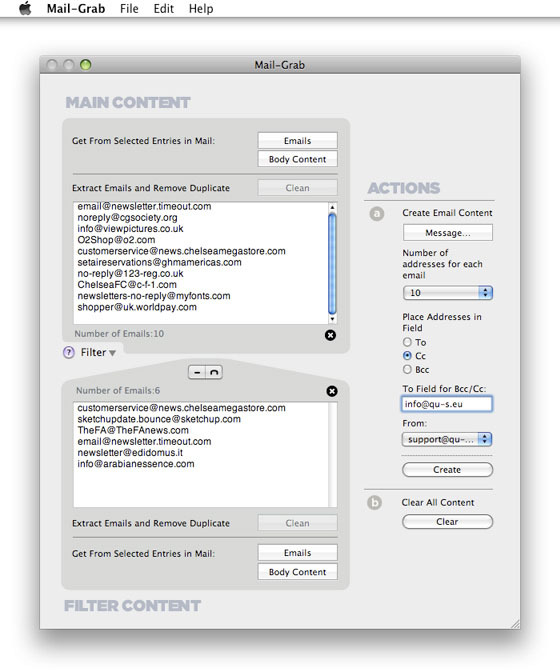 Then simply press "Create" for Mail-Grab to get Mail to generate the emails. 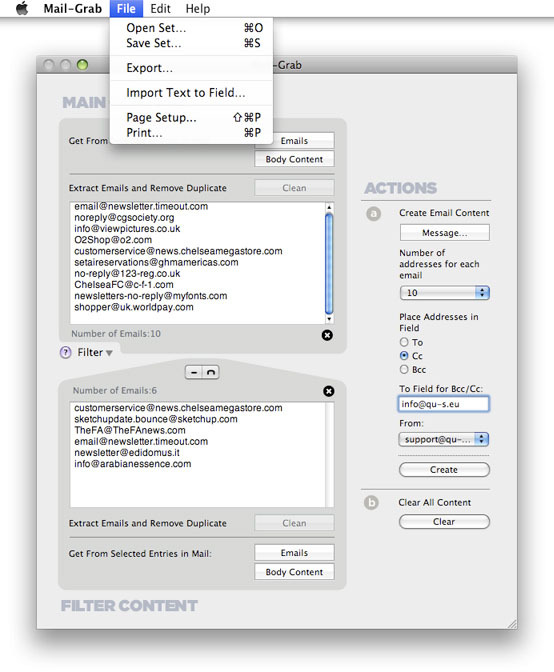 Once created, you can check them in Mail and see if you are satisfied before sending them out. Qu-s is the permanent answer for organizing all your temporary items. Qu-s, by utilizing your Desktop, keeps what you need at your finger tips but out of your way! Use Qu-s' advance note system to keep on top of those nugget of inspiration or that web page you just came across. "This should be on everybody's desktop"